In close coordination and consultation with the Senior Regional Information Management Officer and, as applicable, relevant units at Headquarters (e.g. FICSS, Bureau) the Information Management Officer will be responsible for designing and implementing a country-specific Information Management strategy. S/he will be responsible for broadly supporting the production and dissemination of information on the population of concern to the Country Office, including, but not limited to Protection and Programme information. The Information Management Officer will liaise with sectoral leads to gather information for further analysis and dissemination and identify information gaps. Where information gaps exist, the Information Management Officer may help setting up primary data collection systems and organise needs assessments, which may also involve other stakeholders. In the case of refugee operations, the Information Management Officer will coordinate information management activities relevant to all aspects of the operation and across organizations. For IDP operations, the Information Management Officer will coordinate information management within and provide information management services to the UNHCR-led clusters and act as IM focal point for those clusters with OCHA. The Office has a clear and comprehensive Information Management strategy which guides all IM activities in the country. The Office has stepped up to its leadership role in providing quality Information Management services and delivers reliable, accessible and user-friendly, relevant, predictable, appropriate and timely delivery of information. The Office has an excellent Information Management capacity and deliver IM services to all partners. Global data standards, and where appropriate, the establishment of country-specific common data standards are adopted by UNHCR and its partners. Where required, UNHCR is meeting its cluster information management obligations. Draft the country/operation-specific Information Management strategy and define operational and funding requirements for the implementation of the strategy. The strategy must include the internal mangement of information within UNHCR including document mangement, flows of information and discovery of data/information within UNHCR. Support the promotion of data and information sharing within the humanitarian community as well as the adoption of global data standards, and where appropriate, the establishment of country-specific common data standards. To this end, maintain data and information-sharing relationships within the humanitarian community and with relevant governmental bodies. Identify and obtain the needed data and information elements required to produce standardized information products and design and manage respective data/information collection plans for baseline and context-specific data. Support the Office in the analysis of processed data and information and perform data quality and consistency control. Design and implement a structured dissemination plan for all information products and services as appropriate (e.g. web portal, mailing list, information centres, etc.) including the definition of standard operating procedures for clearing information products for release. Organize and convene a Refugee Information Management Working Group (RIMWG) with releveant operational partners for efficient coordination of Information Mangement activities. Evaluate and organize, if needed, thematic sub-groups in areas such as geographic information management. Provide Information Mangement services to support Monitoring activities within Sectors in a refugee emergency and to UNHCR led Clusters in IDP related emergencies; in areas of information flows, desimination, processing, analysis, standard setting and desimination. Leverage Geographic Information Systems (GIS) for map production and geographic data mangement while promoting data standards and harmonized mangement of geographic data/information. Provide Information Mangement services to support population data mangement activities including population estimation, information flows from established systems, movement tracking, standard-setting/promotion and desimination. Provide Information Management support to needs assessments for all sectors (in refugee situations) and provide Information Management support to needs assessments within UNHCR-led clusters while participating in joint/harmonized needs assessments with other partners/clusters. Support operational leads in making methodological decisions about how to conduct needs assessments. Chair a Refugee Information Management Working Group (RIMWG) (for refugee situations) and represent UNHCR-led clusters on inter-cluster Information Management Working Groups (for IDP situations). Assist in the recruitment and training of data collectors and data entry personnel, if requested. Undergraduate degree (equivalent of a BA/BS) in Information Technology, Demography, Statistics, Social Sciences or any related area plus minimum 6 years of previous work experience of which at least 4 years combined field and/or headquarters experience in international organizations (e.g. UN agencies, INGOs, IOs, bi-lateral cooperation agencies, etc.). Graduate degree (equivalent of a Master's) plus 5 years or Doctorate degree (equivalent of a PhD) plus 4 years of previous relevant work experience may also be accepted. Knowledge of the UN system and the humanitarian community. Knowledge of protection-related guidelines, standards and indicators. Proven skills to analyze statistical information. Ability to translate planning-specifications into technical briefs for data capture and analysis, and vice versa. Ability to compile and holistically analyze diverse datasets. Experience with handling confidential data. Demonstrated understanding of different data collection methodologies. Understanding of relational data theory. Excellent written and oral presentation skills. Experience with relevant software such as ArcGIS, Mapinfo, SPSS, EpiInfo6 , SQL Server, and/or progress. This is a Standard Job Description for all UNHCR Information Management Officer positions. The Operational Context may contain additional essential and/or desirable qualifications relating to the specific operation and/or position. Any such requirements are incorporated by reference in this Job Description and will be considered for the screening, shortlisting and selection of candidates. The Associate Supply Officer manages and supports all activities pertaining to the supply chain function including planning, sourcing, transport, shipping, customs clearance and warehousing management in the operation. The incumbent is normally supervised by the (Senior) Supply Officer who defines the objectives and provides general guidance. S/he will also refer to UNHCR manuals and relevant policy papers. The incumbent normally supervises some support staff. Contacts are predominantly with other UN agencies, Implementing partners and Government departments on relevant subject matters at the working level. UNHCR delivers timely and quality goods and services to persons of concern in compliance with supply chain rules and procedures. The local supply chain function is optimised and aligned with the operations' evolving needs and management systems and has an infrastructure that is robust and flexible enough to accommodate operational requirements. Supply chain activities are supported by effective partners. Prepare plans for delivery of relief items according to operational needs. Apply UNHCR's procurement strategy when planning for purchase of important commodities and services. Through regular physical verification of PPE establish their status, propose old and obsolete PPE for disposal and plan for the arrival of replacement items. Identify partners for supply chain projects based on objectives, priorities, strengths and resources of the implementing partner and/or contractor, according to criteria consistent with UNHCR rules and regulations. Resolve difficulties in the local supply chain by finding solutions to problems and bottlenecks, and provide regular reports on supply chain activities, the status of requests and the availability of items in the supply chain. Ensure timely customs clearance of consignments, and manage storage of goods according to "best practices" and UNHCR rules and regulations. Maintain an efficient system for the release, distribution and redeployment of goods. Coordinate transportation and distribution of relief items. Maintain accurate and comprehensive records on logistical activities and provide timely reports and updates both periodically and on request. Coordinate activities of implementing partners and/or contractors performing supply related activities, and ensure that they understand and adhere to relevant UNHCR rules and procedures. Through regular physical verification of PPE establish their status. Propose old and obsolete PPE for disposal and plan for arrival of replacement items. Evaluate purchase requisitions to ensure that specifications, delivery dates and all other requirements are in order. Draft and dispatch quotation requests and/or tenders, assist in the evaluation of offers and draft bid-tabulations, and prepare proposals for award of contracts to the Committee on Contracts. Monitor the manufacture/transport of ordered goods to ensure timely delivery. Analyse matters relating to procurement activities, and deliver information on all procurement activities within area of responsibility. Provide guidance and advice on UNHCR procurement policies and procedures to support and assist requesting sections. Implement effective asset and fleet management that regularly monitors the asset/fleet pool, saves cost and safeguards the investment of the organisation including receipt, inspection, registration and marking of new Property, Plant and Equipment (PPE), and organisation of the physical verification of PPE. Ensure that PPE agreements are properly issued and signed. Ensure proper preparation of disposal forms and cases for the Asset Management Board. Organise the disposal of PPE, according to Asset Management Board decisions. Provides asset management reports, customised reports, and gathers information on all assets and provides in-depth reports periodically and when requested. Analyse the quality of commodities and services delivered in relation to the needs of the location and established quality standards. Establish a local quality assurance process. Analyse the existing infrastructure and ensure that it is optimally aligned with the operational needs. Implement practical projects to improve supply performance that has clear objectives, timescales, tasks and resources defined. Monitor the project implementation and report on progress. Monitor the quality and accuracy of supply chain related data in relevant business systems. Compile and analyse statistical information, identify trends and developments in supply chain related matters that will assist in decision making. Disseminate, promote commitment to and monitor compliance with UNHCR's global policies, standards and guidance on supply chain management. Adapt local supply chain structures to be consistent with the operational needs. Ensure effective information flow in the supply chain and adapt local process to the prevailing environment. Any other responsibility deemed necessary or as delegated by the Head of Supply Management Service in order to meet the level of service requires by the organisation. Identify, assess and select vendors based on their capability for delivering commodities and services. Maintain vendor and item master databases. Allocate resources to meet demand and support the on-going operation in compliance with the resources allocation framework. Determine shipment methods, routes and delivery schedules to meet demand in the most timely and cost-effective manner. Award, approve and terminate local contracts in accordance with delegated authorities, as well as, relevant UNHCR regulations, rules and procedures. Enforce compliance of supervised staff with relevant UNHCR supply chain regulations, rules and procedures and appraise their performance. Undergraduate degree (equivalent of a BA/BS) in Business Administration, Marketing, Engineering, Logistics, Mathematics or a related field plus minimum 3 years of previous relevant professional job experience. Graduate degree (equivalent of a Master's) plus 2 years or Doctorate degree (equivalent of a PhD) plus 1 year of previous relevant work experience may also be accepted. Completion of UNHCR learning programmes or specific training relevant to functions of the position such as the Supply Chain Learning Programme (SCLP). Other UN procurement and logistics training such as IAPSO and UNPD. Knowledge and working experience of PeopleSoft/MSRP Supply Chain applications. 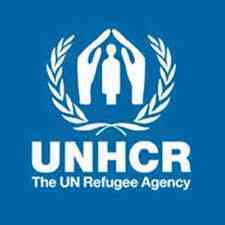 This is a Standard Job Description for all UNHCR Associate Supply Officer positions. The Operational Context may contain additional essential and/or desirable qualifications relating to the specific operation and/or position. Any such requirements are incorporated by reference in this Job Description and will be considered for the screening, shortlisting and selection of candidates.